Living with missing teeth can be painful and frustrating. You may also feel embarrassed about the gaps in your smile. Dr. Kenneth W. Coffey provides dental implants which are the gold standard for tooth replacement, repairing both strength and aesthetics. Anchored into the jawbone, dental implants provide an unparalleled level of stability to your restoration so you will not have to worry about it sliding out of place. Acting as artificial tooth roots, dental implant posts stimulate the jawbone. This prevents the tissue from receding and prevents surrounding teeth from becoming loose. Implant-supported restorations provide the most realistic results when closing the gap in your smile. After treatment, you can once again feel confident in your smile. Is tooth loss a common problem? After age 65, the average adult has lost more than 13 teeth and is left with a mere 18.90 natural teeth. Because dental implants are anchored directly into the jaw, there must be sufficient jawbone tissue to support and hold the restoration in place. You must be in good overall health. Conditions such as diabetes can negatively impact your treatment. You must also have healthy gums. You must be committed to quitting smoking and drinking alcohol, at least temporarily, as both of these habits can impede your ability to properly heal. Many patients are apprehensive about undergoing dental implant surgery because it is intimidating. However, there are several measures taken to ensure your comfort. To address physical discomfort, a local anesthetic is applied before surgery to numb the area. For patients with anxiety or who need help relaxing, sedation can also be provided which should help you feel at ease. You can discuss sedation options during your consultation. The latest technology will be used to assess your oral health and plan your surgery for long-lasting results. If you suffer from jawbone atrophy or other conditions, you may need preparatory treatments such as bone grafting. Dr. Coffey will coordinate your treatment with a skilled oral surgeon. During dental implant surgery, the post will be placed into the jawbone. Over the next three to six months, the dental implant will fuse with the jawbone during a process known as osseointegration. Once your permanent crown, bridge, or denture has been hand-crafted, you can return to your dentist. Your doctor will attach the restoration to the abutment piece and to the implant for a stable, complete tooth replacement. After dental implant treatment, you can enjoy a fully functional, aesthetically pleasing smile. However, adjusting to your new restoration may take some time, especially for denture patients. Usually, patients will need to get used to chewing and speaking with their restoration, but after a short adjustment period, you can expect these functions to feel normal and much easier than when you were missing teeth. You can also overcome feelings of self-consciousness you may have experienced because of gaps in your smile. Overall, most patients are satisfied with their investment in dental implants and enjoy the many invaluable benefits they provide, including a renewed sense of pride that positively impacts all aspects of their life. Dental implants can last a lifetime with proper care. To protect your investment and your oral health, you should maintain proper dental hygiene at home and schedule bi-annual cleanings. While dental implants should not need to be replaced, your restorations may require minor adjustments over time. Undergoing regular exams allow our team to monitor your restoration and ensure it is properly maintained so you can enjoy a healthy, beautiful smile for a lifetime. Using advanced tools to plan and execute your treatment can significantly impact your results. Dr. Coffey uses the latest technology to evaluate your bite and jaw, determining exactly where the implant posts should be placed to provide the best possible support. He then creates a surgical guide which is used during the procedure. Are dental implants more expensive than traditional restorations? While dental implants are more expensive than traditional restorative solutions, they are widely recognized as the gold standard for tooth replacement and a long-term investment in your oral health. Dental implants can last decades or even a lifetime. Additionally, dental implants have several qualities that help prevent the need for expensive dental procedures. While dental implants are not covered by insurance, Dr. Coffey accepts financing through CareCredit®. Extractions, bone grafting, and sinus lifts may be necessary to create the ideal foundation. More implants are usually required to support a larger restoration such as a denture. There are a variety of restorative materials to choose from. High-end materials will cost more. While dental implants are especially effective restorative options, traditional crowns, bridges, and dentures can still fill the gaps in your smile and restore your bite. Prior to undergoing any procedure, you will meet with Dr. Coffey for an in-depth consultation. He will carefully examine your teeth and gums to ensure you meet the qualifications for dental implants. Not only should you have healthy gums free from periodontal disease, but you must also have sufficient bone density to support the implants. He will assess the jaw, using x-rays. Patients lacking in bone density may need a bone graft to improve density prior to implant surgery. In most cases, patients must wait at least six months to ensure that the graft was effective before they can receive. However, some patients may be able to undergo both grafting and placement procedures during the same appointment. For patients who need an implant in their upper jaw, a specialized type of graft called a sinus lift may be necessary to make room below the sinuses. Dr. Coffey will outline any preliminary procedures you may need in detail, and go over a general timeline for your treatment. He will also work with you to determine the type of restoration that will work best for you. If you do not require any additional procedures, Dr. Coffey and his oral surgeon can begin to plan your dental implant surgery. Because an implant is not necessary for each missing tooth, it is important to plan placement that will provide you with the most benefits. The placement is carefully planned out ahead of time using x-rays of your jaw bone. Once preliminary procedures and the planning stage are complete, Dr. Coffey will refer you to a trusted oral surgeon, who will place the implants according to Dr. Coffey’s assessment of your jaw. This requires at least two surgeries. When you arrive for surgery, you will be provided with some form of dental sedation so you will feel relaxed and comfortable during surgery. Using a surgical guide that outlines the predetermined placement for the implants, the oral surgeon will create small pilot holes in your jaw. The surgeon can then insert the implants, typically with a bone growth supplement. The gums are then stitched closed over the implants for the next three to six months. Depending on the location and number of missing teeth, you may be provided with a temporary restoration to help with dental function during your recovery. 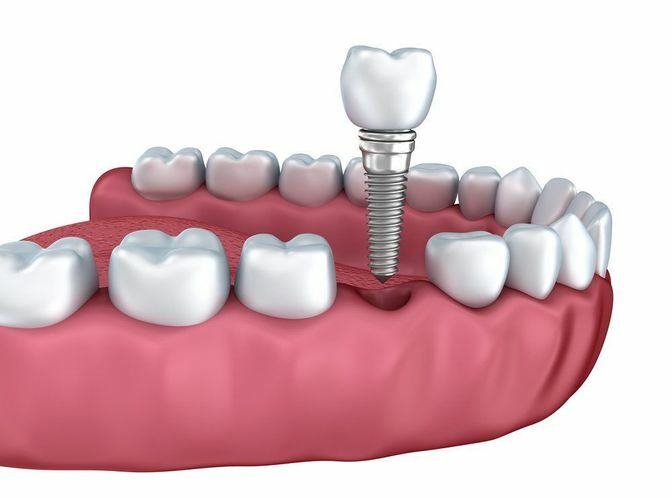 When this process is complete, your second surgery will involve the connection of abutments to the implants, which will serve as the connection point for your dentures, crowns, or bridge. Dr. Coffey will then create your custom restorations according to the exact dimensions of your implant and any surrounding teeth. It will take approximately three to six months for your implants to fuse to your jawbone and for your gums to heal. It is important to avoid any overly crunchy or hard foods during this time. 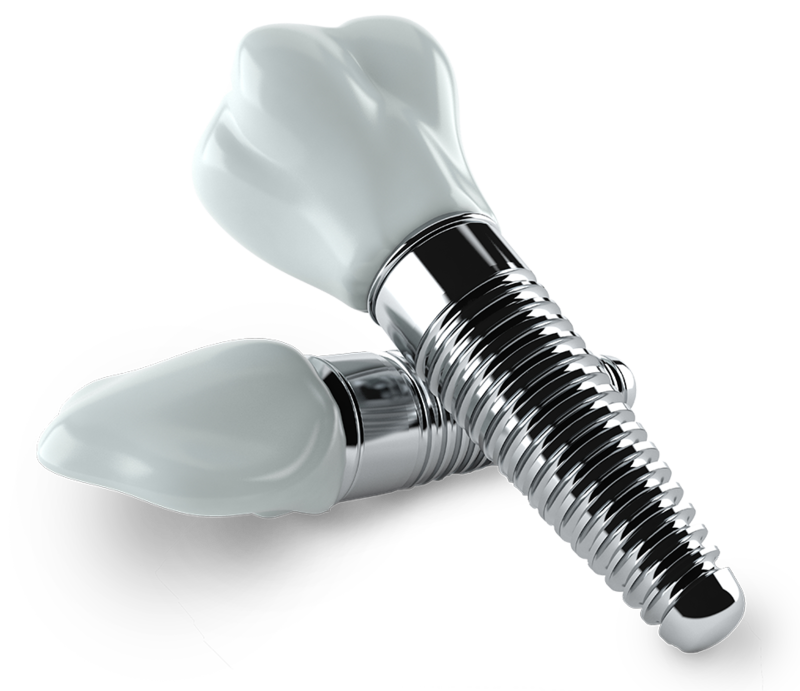 Forceful biting can cause the implants to move, which can result in implant failure. We will closely monitor your healing progress to avoid any complications. Once the implants are stable, you will return to our office so we can take impressions for your final restoration. We will send these impressions to a local dental lab where a technician will craft your custom restoration. It can take about two weeks for this process. Once your restoration is ready, Dr. Coffey will affix it to the abutments of your implants and ensure a secure and comfortable fit. 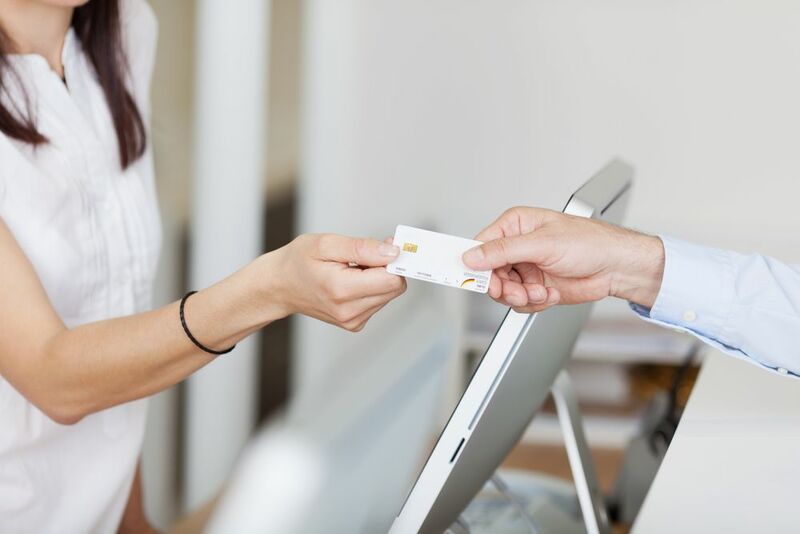 Two of the most significant factors in determining the overall cost of your treatment are the number of implants and the type of restoration you choose. Replacing a tooth with a single implant and dental crown will generally be less expensive than restoring an entire dental arch with several implants and dentures. Additionally, restorations crafted out of high-quality materials can add to the final treatment cost. At our practice, we use durable medical-grade porcelain, carefully selected to match the sheen and translucency of your natural enamel. In order to be a good candidate for dental implants, patients must have sufficient jawbone volume and density. However, it is not uncommon for patients with extensive tooth loss to have suffered jawbone atrophy. In these cases, patients may require preparatory procedures to strengthen the jawbone, such as a bone graft or sinus lift. While integral to the success of your treatment, these surgeries can increase the total cost of your dental implants procedure, as well as extend your treatment timeline by several months. The size of the treatment area and the surgical dexterity required to deliver outstanding results will also affect the cost of your treatment. Some patients have complex oral health issues, like extensive tooth decay, structural abnormalities, or bite imbalances. These conditions will require a higher level of professional attention. Generally speaking, extensive case planning and implementation can impact the cost of treatment. 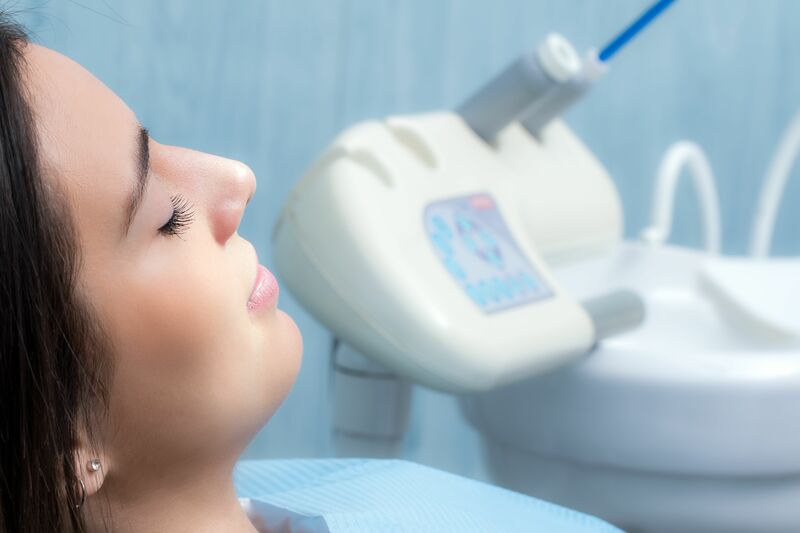 The type of sedation you require can impact the overall cost of treatment. Stronger forms of sedation generally cost more than those that are less intensive. Your oral surgeon can review your options to determine which method is right for you. The experience of your oral surgeon can impact the overall cost of treatment. While a seasoned surgeon with a track record of success may charge more than a surgeon new to the field, it is vital to work with a practitioner whose results you can trust. Dr. Coffey has been practicing for over 30 years and is well-versed in the field of restorative dentistry. You can rest assured that he will address your needs with personalized attention and consideration, and coordinate each step of your treatment with a trusted oral surgeon. For more information about our services, contact us online or call (708) 403-7888 today.